I love noobs. I know I'm not supposed to call people "noob" anymore. I'm working on it. But today I'm giving myself a pass. Noobs are awesome! 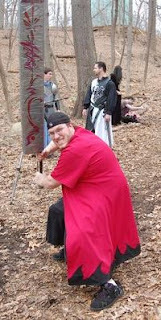 Noobs are the lifeblood of any larp game or chapter. Players get older and move on for any number of reasons. If a group isn't actively bringing in new players that group will not last. What's more, everything about the game is new and exciting to them. They're not afraid to try something crazy and new like making their own equipment and weapons, or throw themselves up against powerful odds. They're just full of that energy I remember having so so long ago, and I start getting excited for them all over again. Its infectious! Noobs are really the best reason I have to still be playing. Ok. That's it. No more dropping the N word. None the less, some players will undermine and run new players off. 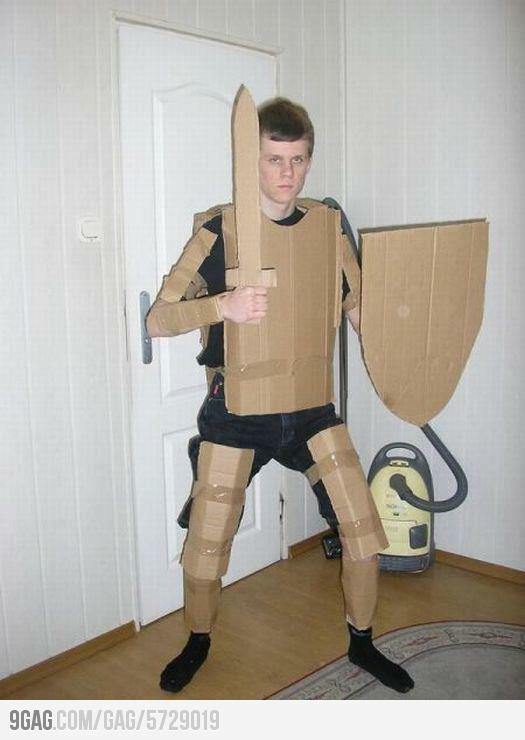 New players don't have their kit together. Their costume is probably minimal if any, and may well not fit the game world. Players who go on about "decorum" or "emersion" will scoff at these poor folks because they don't meet his or her level of quality. Don't believe me? Watch "The Larp Girl" vid. I just don't have words. New players are not good fighters. Some players are bullies and see them as their personal beat down targets. Depending on the severity this could be real abuse. I know new unskilled players are going to loose a lot in combat, but if their spirit is broken the whole group looses. Let them pick their targets. Don't backstab them. At least they feel like they got to play and engage with a number of players. They're learning. Tell that to your stick jock. Don't teach them his bad manners. But enough about what NOT to do. The real problem I've been experiencing is what TO do. I chat them up and try to encourage them to talk to the other players, ask questions, put themselves out there, but some have stayed standoffish. I think my players are generally welcoming and will approach someone new easily in character, but sometimes it has just freaked them out. I asked folks about this in the Austin Larp Meetup group and got some really good feedback from James, someone who'd tried our game out. James told me he had a hard time knowing where his character fit into the world and social order in the game. He really didn't know anything about the world or history, or the groups of allies and opponents set in the game. I felt like we worked a lot in the book to establish these dynamics, but most players haven't really read them. He said he needed more direction as a new player stepping into the role. I had honestly hoped that guildmasters would be there to fill in the gaps for their members like he described, but that hasn't happened either, both because we're a small group, and the guildmaster roles haven't really been taken authoritatively. I'm not trying to sound like I'm putting blame on someone else. This was just my expectation, clearly wrong, and now I can look at how to do better. James' best suggestion was that we have a short to the point introduction tailored to the race and guild of a character coming into the game for the first time. The introduction shouldn't be half a page or less for each race and guild, and give a solid overview of how a character should feel about his group and others. I really thought this was pretty brilliant stuff, but I'd never thought about it until I'd talked to the group. Now I have my hands full writing up these new pamphlets. Hopefully I'll have them ready for next month's game. We'll see if they are a help.